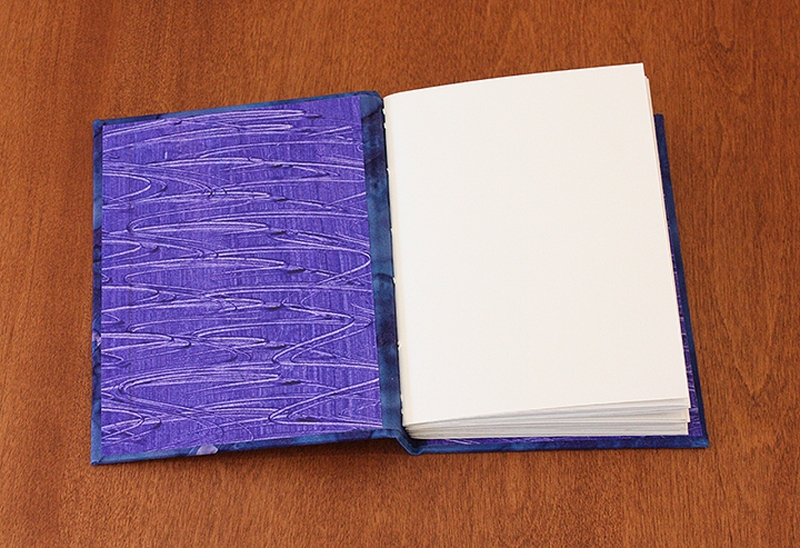 This small sketchbook measures just over 6 inches by 4.75 inches and holds 120 pages (back and front) of 70 lb. drawing paper. It's a great size to toss into a purse, totebag or large pocket. 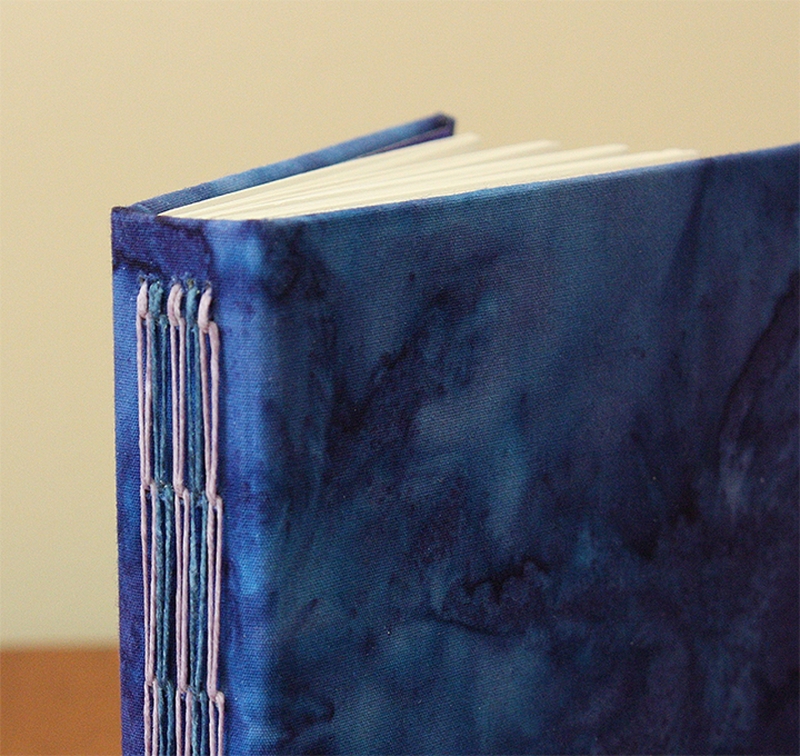 The binding, called sewn chain, is strong yet decorative. 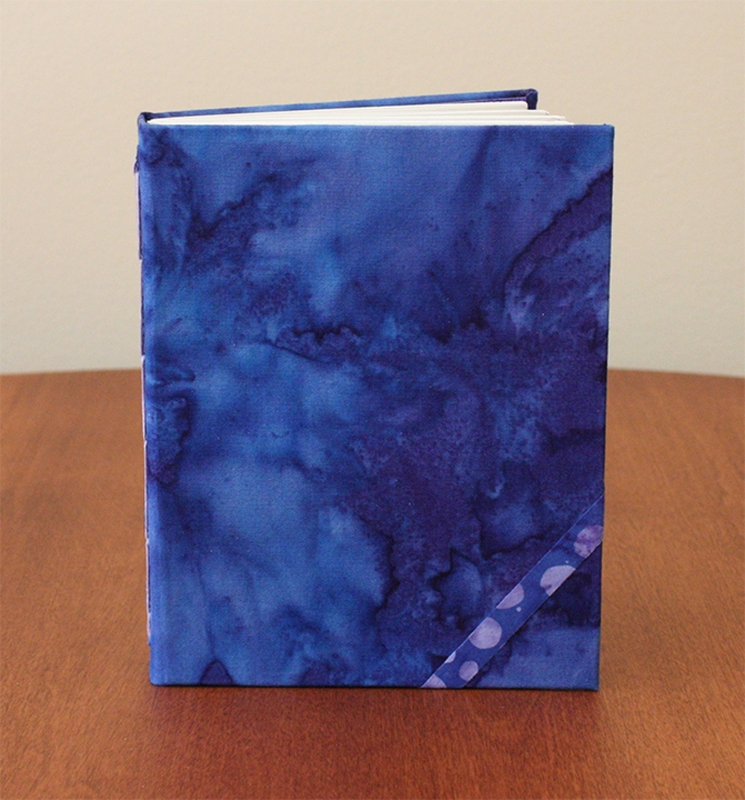 Covered in fabric I've turned into book cloth with paste papers decorating the inside covers, this sketchbook will be the one you reach for to jot down ideas and use on trips and commutes. Made in a pet-free and smoke-free environment.